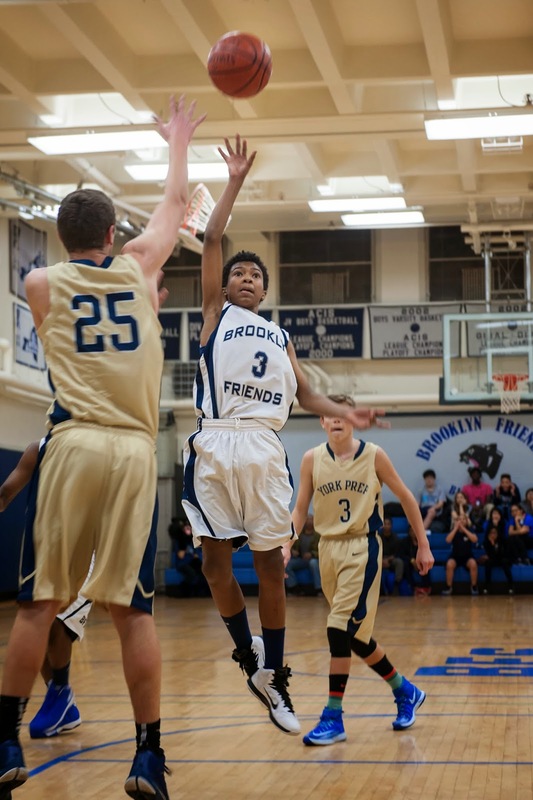 On Wednesday the BFS Boys JV Basketball Team defeated Staten Island Academy 61-54 in the lower gym. In the first quarter the panthers looked rusty as they suffered from the long holiday break. They could not make any easy baskets, going down as much by 14 points early in the game. But if it’s one thing we know about these Panthers is their “no give up” attitude. The Panthers rallied back and finally took the lead during the third quarter and never looked back. Miles B. finished with a game high 27 points. Junior Noah W. finished with 12 points and sophomore Issac H. chipped in with 9 points. The panthers will remain home for their next game on Friday January 9th at 5:30 pm. Blue Pride!! On Thursday the BFS MS Boys Basketball Team defeated Garden 71-43 on the road. The team scored a season high 71 points in their first game action after the winter break. 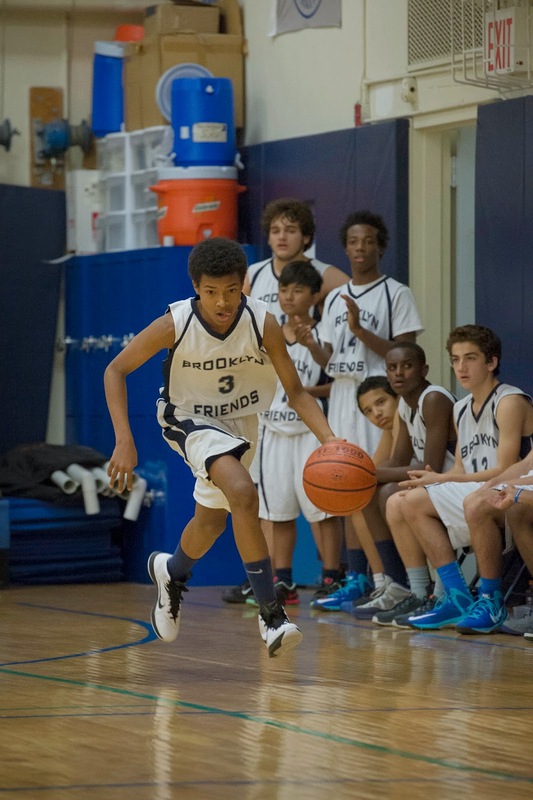 The balanced attack was led by eighth grader Kwesi C-S who scored a career high 15 points. Good games were also had by fellow eighth graders Daniel D. with 12 pts., Luca J. with 11 pts., and Cailean M. with 9 pts. The seventh graders also contributed to the cause as Ty S. chipped in 7 pts., while Lewis W. scored 6 pts. and Finn had 4 pts. When all was said and done only two out of the twelve players that saw action during the game did not record a point. Along with the impressive scoring there were some nice rebounding and defensive numbers as well. Leading the charge on the boards was Luca who pulled down a new career high 18 rebounds. Kwesi and seventh grader Shamshad A. each had 12 boards, a career high for the latter and Max pulled down 9 as well. For Luca it was his first career double-double, and it was Kwesi’s second one of the season. Blue Pride!! The BFS Girls Varsity Basketball Team defeated Mary McDowell Friends School 36-27 on that road at Basketball City. Sophomore Silvely A. got us started with 4 quick points as she aggressively took the ball to the basket. Then we had kind of a lull on the offensive side but maintained our solid defensive play. After one quarter of play BFS and MMFS were tied 4-4. BFS continued to try to push the tempo while trying to find senior power forward behind the defense in our half court sets. It took the team a little while to get back on track but once they did they started running the break to almost perfection. BFS outscored their opponent 13-4 during the second quarter. Junior guard Sierra Vines played solid defense on our opponents best player while knocking down two sweet jump shots of her own. The second one was three pointer. BFS took a 17-8 lead into the half as they looked to shake off the rust from the long winter break. The three solid team practices earlier this week seemed to be the difference as the 11 BFS players in action all contributed in some way on and off the court. BFS had a great third quarter as they attacked the basket and were able to get to the foul line. The only problem was that BFS missed six free throws along the way. Julia B. had 8 points in the quarter and extended BFS’ lead to 28-16. MMFS hung in as their best player racked up a total of 24 of their total 27 points. She played most of the final quarter with four fouls. BFS had a chance to take a charge with a little over three minutes to play and that would have been her 5th and final foul but instead BFS settled for the blocking foul. Kudos to junior forward Abby M. who took a beautiful charge earlier in the game. 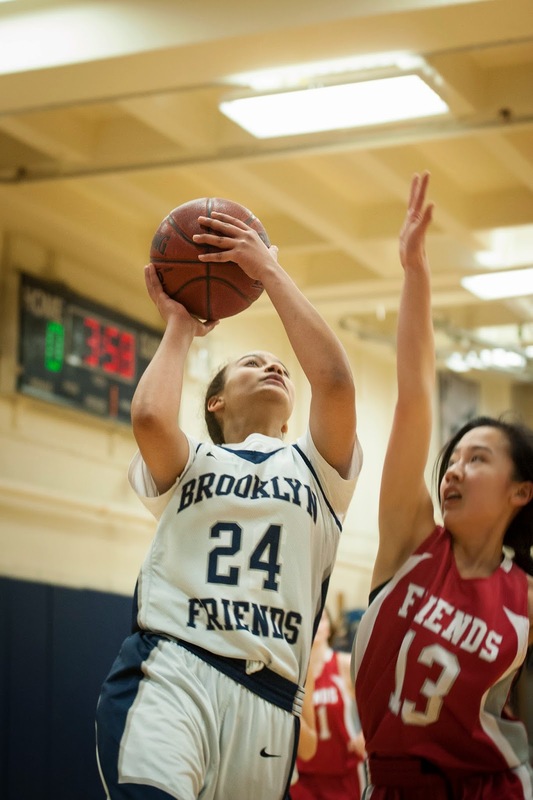 Sophomore guard Ivy L. knocked down two key jumpers (nothing but net) to give BFS enough breathing room to hold onto the road win and maintain their undefeated stats in ISAL League play. BFS now has an overall record of 7-4 (1-0 in the near year) and a very impressive 6-0 league mark. Silvely led the way for BFS with 10 points. Julia B. finished with 8 points (all coming in the 3rd quarter) and also finished with 8 points (all coming in the 4th quarter). Senior Maret S-M and junior Sierra finished with 5 points a piece (all coming during the second quarter). BFS is back in action today as they take the court again on the road in the city, this time in a non-league game. Blue Pride!! On Friday the BFS MS Girls Basketball Team defeated Garden 30-10. The team got off to an early lead and maintained it throughout the game. BFS was up 10-0 after one quarter of play. BFS found themselves up 18-0 at the half. Garden was unable to score until the second half of action when they put in three baskets to score 6 points. BFS continued to score and took a 26-6 lead into the final quarter of play. Both teams cored a pair of baskets to close out the game. Eighth grader Devon O. led the charge carrying the team and improving its overall record to 3-3. The victory was the teams first ISAL victory of the season as they are now 1-0 in league play. record. Seventh grader Libby S. was dealing with a sore lower back problem, so Nora S. stepped up and bounced up off the bench to spell Libby until the athletic trainer could loosen her back and get her back in the action. The team moved the ball well with a few glitches here and there, but overall they were easily in command of the outcome. Salma M., Libby, Jessie R., Olafunke S., & Hannah S. are all showing improvement and skill development. But all of the teams players are showing improvement and have contributed to the teams success so far. They are 1-0 in 2015. It is a joy coaching the team. 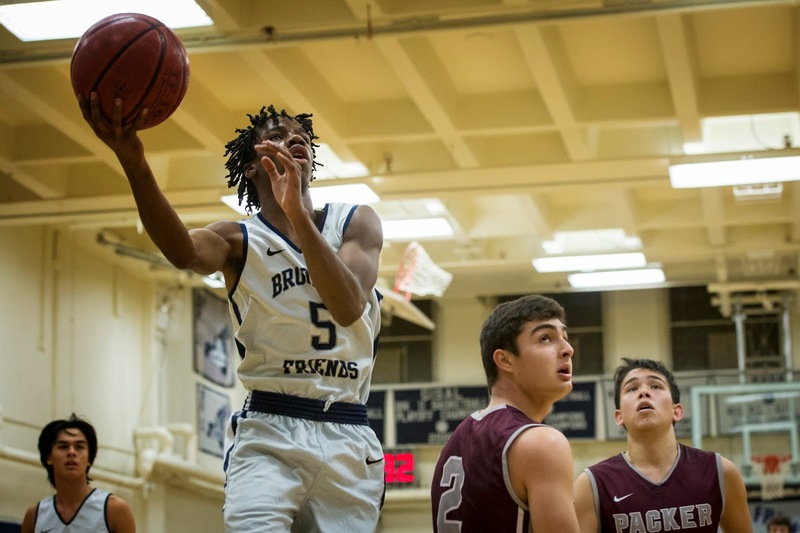 The BFS Boys Varsity Basketball Team defeated LREI 61-46 in the lower gym. The Panthers led wire to wire with an impressive showing in front their home crowd. The teams leading scorers were juniors Quran D. with 22 points and Chris B. with 18 points. Sophomore guard Brendan G. scored 8 points, while senior Adam W. scored 7 points. Juniors Zac B. scored 4 points, and Tyler V. and Phil C. each scored 2 points. The team improved to 8-5 and picked up another league win to add to their total. The team is now 7-1 in ISAL action. Blue Pride!! The BFS Boys JV Basketball Team defeated LREI 51-29 in the lower gym. Today the Panthers played LRREI, which is the team they played to open up their season. The Panthers never trailed during this game, as LREI continued to make runs to get the game closer, the Panthers would just continue to match those points. The Panthers finally pulled away with a 20 point lead. Miles B. led the way with 35 points. The Panthers will be home for their next game on Tuesday January 13th at 4:15 pm. Blue Pride! !